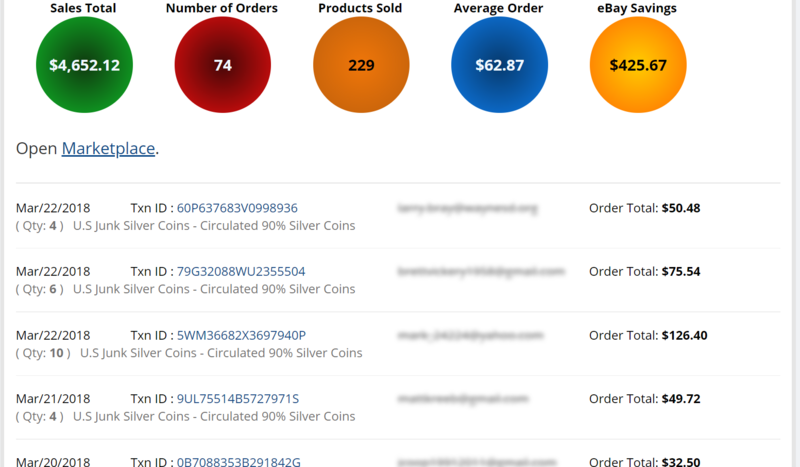 Easy to use e-commerce cart for Coin Dealers. 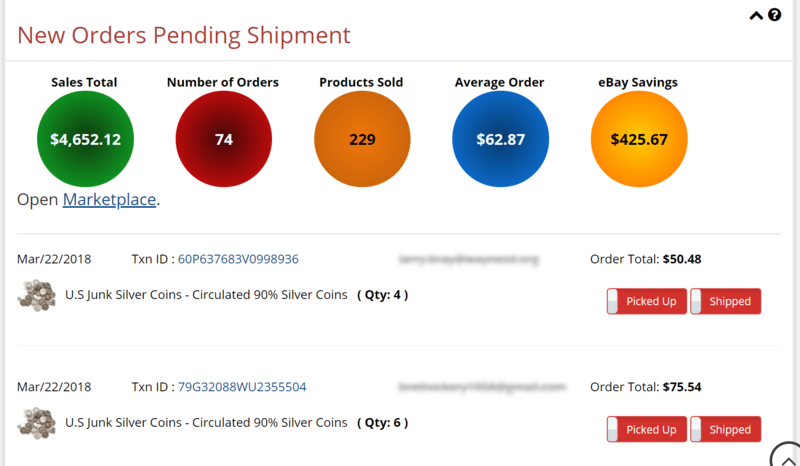 E-Commerce Cart for Coin Dealers? We have the solution! Start selling online today. Members of the USCDU are provided with an e-commerce solution that allows you to list any product within a minute (provided that you already have an image). Our platform is included with membership and it's simple to use, it only requires a PayPal account. This service will save you thousands of dollars over eBay. We do not charge listing fees or final value fees. The system does many things that other e-commerce platforms do not. First, and all important, it allows you to sell gold and silver bullion with updated real time pricing, just set your premium and wait for the sale. It also allows you to list "In Store Only" items. This is something that you simply can not do with other applications. The service is integrated with Google Merchant Center and Google Shopping allowing our members to set-up and control their own Shopping Campaign from Google Adwords. Using an e-commerce provider like Big Commerce, WooCart, X-cart, OpenCart and others just doesn't make sense. These types of applications are not designed to sell one of a kind items and certainly do not provide dynamic price updates for bullion. The time, knowledge and staff that is required to run these types of e-commerce storefronts prevents them from being a viable option for coin dealers. eBay is great if you have the time, don't mind the politics, cost or the ever-changing rules. We have been struggling with e-commerce for over 15 years and needed a better way. The system we built is just that. It's fast, simple to use and understand and it works. No setup on your part is required, simply add your product and you're done. Benefits | © U.S. Coin Dealers United INC., All rights reserved. | Sign Up Today!